Would you like to learn computer coding? Go from being a passive user to actually creating your own programmes. In the technology led world, learning how to code is a skill for life. 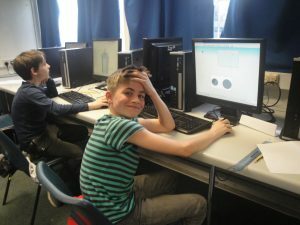 As well as giving a greater insight into technology, learning to code involves problem solving and thing king skills and gets those little grey cells working. Expand your abilities on this fun and inspiring course. No previous experience required. Rufus Fleary has over 8 year’s teaching experience and has a particular interest in Technology. He enjoys facilitating the development of his students’ programming skills and has run a number of workshops in this field. Excellent breadth and choice of topics. Alex returned home tired but smiling after every day. Thank you.